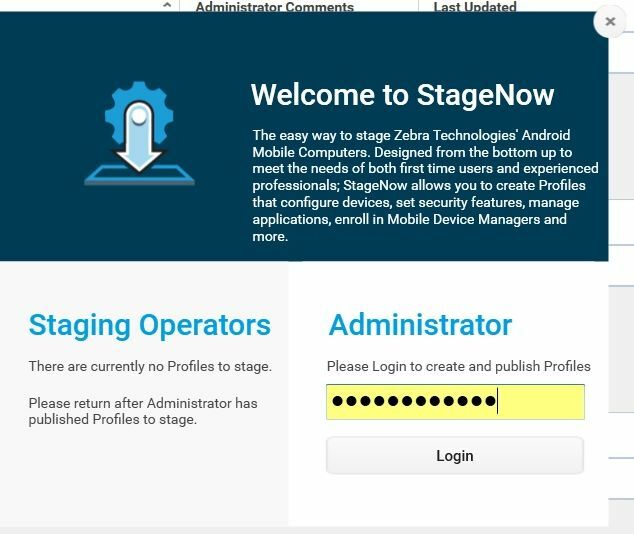 StageNow is Zebra's next generation Android Staging Solution, supporting KitKat and Jelly Bean and built on the MX 4.3/4.4/5.0 platform. It allows simple profile creation, and easy device deployment with a simple bar code scan, tag read, or audio file play. StageNow supports all KitKat and Jelly Bean Android devices from Zebra. 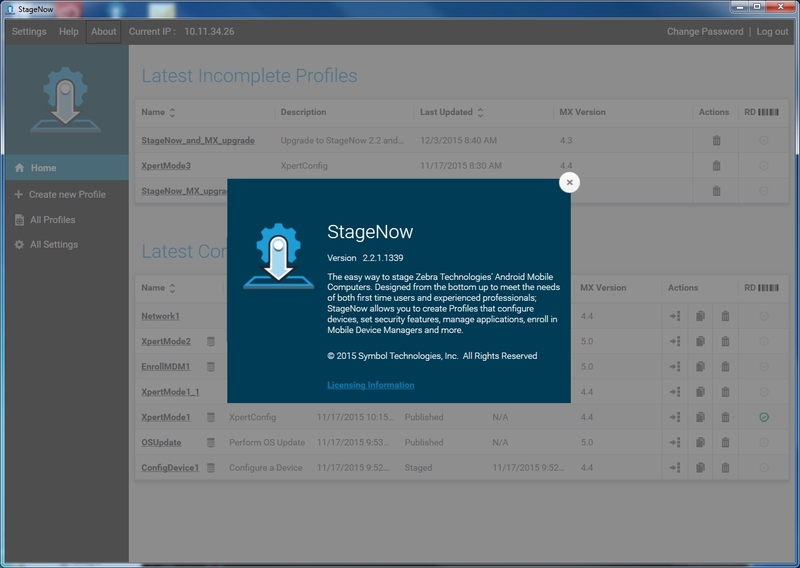 KitKat devices that ship with the StageNow Client installed support all StageNow features. 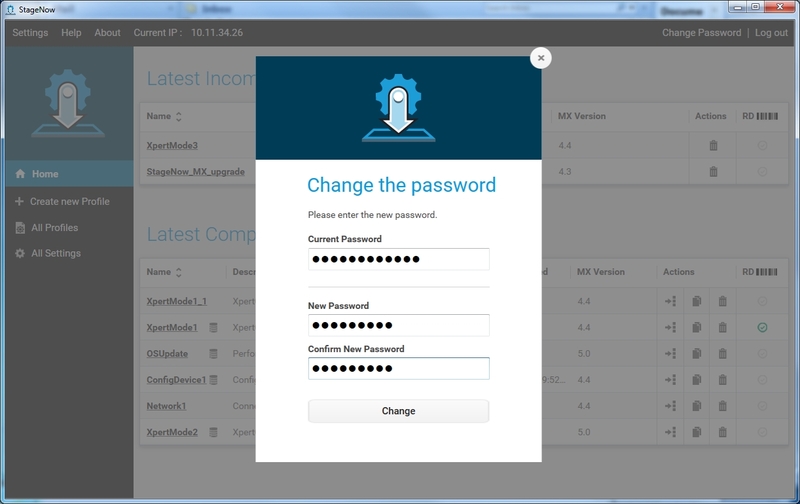 To install StageNow client and MX on a Jelly Bean device, create a profile using wizards from MX 4.4 or lesser versions. 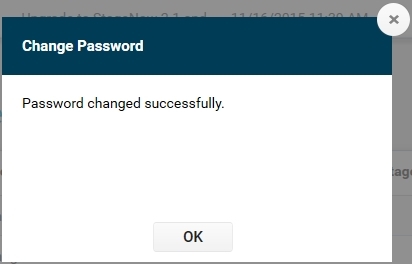 Once devices that did not include the StageNow Client are staged using the RD Client, they still may only support partial StageNow functionality due to limitations of the device OS. 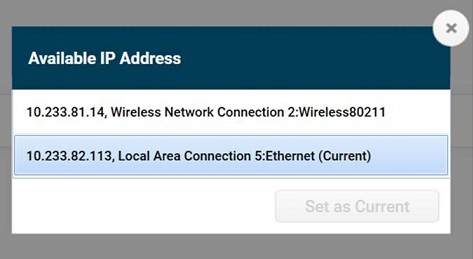 See the Feature Compatibility section of the specific Setting Type to determine if your device supports a given feature. Export - Export a profile for other administrator use. Selecting Settings in the top left corner of the tool offers three options.